To enhance your experience at the conference, we have organized social events to allow you to explore and discover the history, traditions and culture of the Tallinn while giving you an opportunity to network and meet your fellow attendees from across the world in a relaxed social environment. 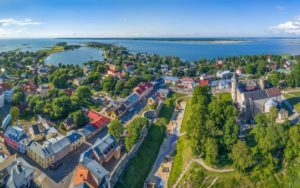 Explore the hidden wonders amidst the wilderness, including Estonia’s most romantic waterfall, an old imperial Russian gun battery, the coastal cliffs around the Paldiski military town and picturesque summer resort Haapsalu, it’s popular old town full of galleries and cafes and Haapsalu Episcopal Castle. Taking the scenic, coastal route to Paldiski, your first stop should be the Türisalu cliff. Farther along is Keila-Joa, where you can see the third highest waterfall in the country, which is considered to be the most romantic waterfall in Estonia. Set in the forest, next to a 19th-century, Neo-Gothic manor house, it is almost a dictionary definition of picturesque. Paldiski, once turned into a closed town by the Soviet army, has remains of the naval fortress built by Peter the Great. The gigantic Soviet atomic submarine training centre (Pentagon) was situated in the middle of the city. On the way to Haapsalu, the major site of interest is the Padise Monastery that dates back to the 13th century. The Golden Age of the Padise Monastery (Padise Kloostri) was around 1400. Haapsalu city centre is characterised by a miniature town hall and romantic wooden dwelling houses. 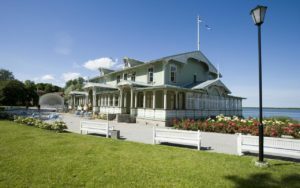 By the seaside Promenade stands Kuursaal, one of the finest wooden buildings in Estonia, which houses a summer restaurant. Please note that comfortable shoes are recommended. Welcome Reception takes place at the National Library of Estonia. The Welcome Reception provides an excellent opportunity to network, meet old friends and colleagues, as well as meet new people as the program begins. *Welcome reception is open for registered participants and accompanying persons. The Old Town of Tallinn, dating back to the Middle Ages, is one of the best preserved Hanseatic town centres in the whole world. It is also included in the UNESCO World Heritage List. 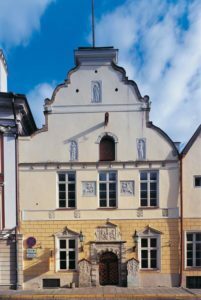 The heart of the Old Town is the lively Town Hall Square with its gothic Town Hall , built in the early 15th century. The Town Hall Tower is guarded by a weather vane picturing Old Thomas, considered to be the city’s defender. On the other side of the square you can see the Town Hall Pharmacy, the oldest continuously running pharmacy in Europe. The winding streets of the Old Town are covered with cobblestones and lined with fascinating architecture. 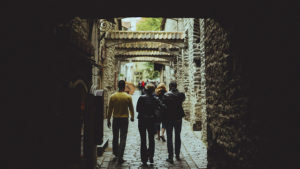 One of the most unique streets is the narrow St. Catherine’s Passage, also one of the most romantic streets in Tallinn. It’s a cosy home to the St. Catherine’s Guild, a collection of craft workshops and artists using traditional methods in their various artworks of glassware, ceramics, jewellery and much more. For a handicrafts fan, a visit to the Masters’ Courtyard is a must, as well! The Old Town is surrounded by a medieval Town Wall, of which 1.9 kilometres and half of its towers still stand to this day. Most of the wall’s 20 defensive towers are open to public, offering a chance to climb up, explore and probably even visit a museum inside. The most popular tower museums are Maiden’s Tower and Kiek in de Kök, of which the latter also serves as the starting point for visitors interested in the fascinating system of hidden tunnels, the Bastion Passages, that run underneath the city. * City tour is open for registered participants and accompanying persons. 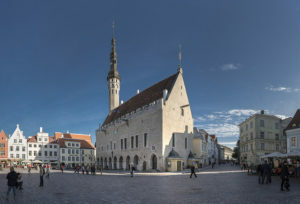 The House of Blackheads is the only surviving Renaissance building in Tallinn. A residence probably existed at this location already in the 14th century. The Brotherhood of Blackheads bought the property in the first half of the 16th century, when they also built a new hall without vaults. A major reconstruction took place in 1597, when the façade was redesigned in the spirit of the Renaissance architecture from the Netherlands, with its rich ornamentation and carved decorations. 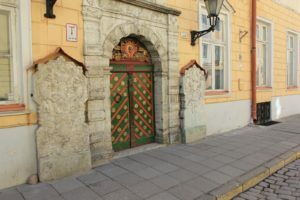 One of Tallinn’s most eye-catching painted doors dates from the 1640s. The two-nave, arched guildhall bought from the Olav Guild dates from the 15th century. Estonia’s largest rahvuspark (national park), Lahemaa is 725 sq km of unspoiled, rural Estonia with picturesque coastal and inland scenery, making it the perfect country retreat from the nearby capital. 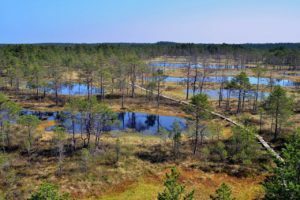 Tour will take you to Viru bog – one of the most accessible bogs in Estonia. Complete with a 3.5-kilometre trail marked with signposts, it passes through the forest and marsh landscapes typical of Lahemaa National Park. 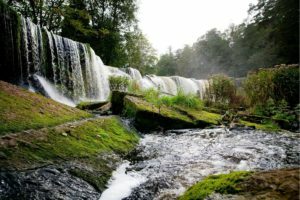 A seven-hour coach tour to Lahemaa (70 km from Tallinn) presents you the beauty of the landscape typical to Northern Estonia: coastal lowlands, pine forests, and boulder fields. In Lahemaa, there are several well-restored manors of 18th-19th century, really great examples of their kinds in Estonia. Our first stop will take us to the stunning Palmse Manor ensemble with its legendary story dating back to the early 13th century. 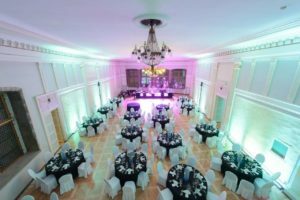 Through the unkind events of the past, the manor complex has managed to maintain a true atmosphere of times gone by boastingintimate and elaborately decorated rooms in the main building and fascinating pavilions, smithy, bathhouse and a distillery aspart of its present day charm. 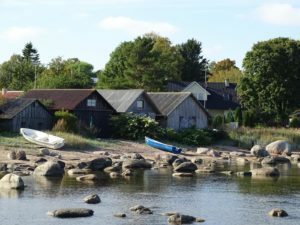 The simple charm of former fisher’s village of Käsmu has a rich history that is showcased beautifully in the unique private exhibitions of the Maritime Museum. You will not only be treated to a savory lunch, but also hear how a village of one-hundred families has given the gift of at least one-hundred captains to the seas around the world. Walk in Viru bog gives everyone the opportunity to learn about the area’s flora, former sand dunes, ridges and heath woodlands while on the go. The bog’s boardwalk winds its way through the landscape and pauses with a viewing tower that provides a scenic overview of the bog terrain.